Lecture: "Challenges to Framing the Value of Policy in a post-Paris (post-Trump) World"
Gary Yohe is the Huffington Foundation Professor of Economics and Environmental Studies at Wesleyan University. He was educated at the University of Pennsylvania, and received his PhD in Economics from Yale University in 1975. He is the author of more than 150 scholarly articles, several books, and many contributions to media coverage of climate issues. Most of his work has focused attention on the mitigation and adaptation/impacts sides of the climate issue. Involved since the early 1990’s with the Intergovernmental Panel on Climate Change that received a share of the 2007 Nobel Peace Prize, he served as a Lead Author for four different chapters in the Third Assessment Report that was published in 2001 and as Convening Lead Author for the last chapter of the contribution of Working Group II to the Fourth Assessment Report that was published in 2007. In that Assessment, he also worked with the Core Writing Team to prepare the overall Synthesis Report. He was a Convening Lead Author for Chapter 18 of the Contribution of Working Group II to the Fifth Assessment Report on “Detection and Attribution” and a Lead Author for Chapter 1 on “Points of Departure”. Professor Yohe serves as a member of the New York City Panel on Climate Change. He has testified before the Senate Foreign Relations Committee on the “Hidden (climate change) Cost of Oil” on March 30, 2006, the Senate Energy Committee on the Stern Review on February 14, 2007, and the Senate Banking Committee on “Material Risk from Climate Change and Climate Policy” on October 31, 2007. 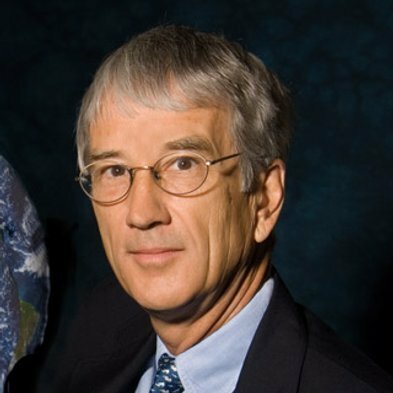 He served as a member of the Adaptation Panel of the National Academy of Sciences’ initiative on America’s Climate Choices and as a member of an Academy Committee on Stabilization Targets for Atmospheric Greenhouse Gas Concentrations that was chaired by Susan Solomon. Professor Yohe is currently a co-editor-in-chief, along with Michael Oppenheimer, of Climatic Change.